Home > Supplements Overview > Do Fertility Herbs and Supplements Help? Herbs are simply medicinal plants which help the body heal itself. So with this in mind, there is no reason why they cannot be used to help both men and women conceive. As a natural method to help solve both male and female infertility issues, many people say they couldn’t be better. While infertility problems can affect both men and women, the majority of fertility herbs and supplements are designed to be taken by the female gender. Often, they are recommended to be taken by women who cannot conceive when there is no immediately obvious medical reason for this to be the case. Women who find it difficult to conceive often take fertility herbs or supplements for the following reasons: to help balance their hormones, to help them de-stress and relax, to “tone” their uterus, and to increase their sexual desire, so they can get pregnant in the first place! Raspberry Leaf: Known as a uterine tonic, this could be the most popular of all herbal supplements. After conception, women also traditionally drink a raspberry leaf tea to induce a late labour – don’t take it unless you’re not pregnant, or ready to deliver. Ginseng. Commonly used to help get rid of stress, improve the libido and relax the uterus. Dong Quai. Promotes pelvic blood flow and helps with menstrual irregularities. Not to be taken while pregnant. Red Clover. Taken as a daily tea, it is thought to nourish the uterus and make the entire nervous system feel more relaxed, and more open to conception. Chasteberry. Can minimize pre-menstrual symptoms and help balance the hormones. Don’t take the name too seriously! Evening Primrose Oil. Has been known to help improve the fertile quality of cervical fluid. False Unicorn Root. Can stimulate the ovaries and encourage ovulation. Ginseng: Helps improve sperm count and raises testosterone levels, therefore increasing sexual desire. Saw Palmetto. Stimulates glands that produce sperm. False Unicorn. Gives new life to men suffering from impotence. Maritime Pine Bark. Helps improve sperm quality. Horny Goat Weed. As the name suggest, increases sexual desire in men. If you are finding it difficult to conceive, see your doctor to rule out any real medical reasons why you are having problems. If no reason can be found for either you or your partner, fertility herbs and supplements might be a solution to help you on the path to conception, as well as safe, alternative remedies such as acupuncture and massage. Many women who suffer from fertility problems like to try herbs and supplements in the first instance, as they carry with them a lot less side effects than prescription fertility drugs. Be aware, however, that even herbal supplements can interact with prescribed medications and other supplements, so consult with your GP before taking any. 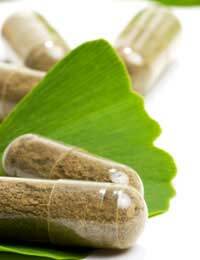 If you are suffering from infertility problems, you may want to try herbal supplements yourself. But make sure you and your partner rule out any medical reason for the problem first, and talk over any supplements with a qualified medical professional first.